Today marks 50 Years since Skippy the Bush Kangaroo first hit Australian screens. Widely regarded as our first international TV export, it screened on Nine from 1968 – 1970. 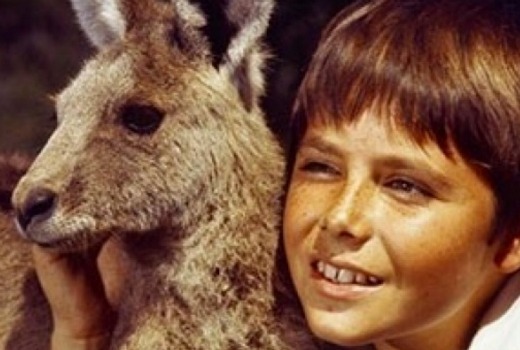 At its height Skippy was watched by 300 million viewers around the world -it still screens on Nine today at around 3am. TV Historian Andrew Mercado said, “One of the reasons that Skippy still endures to this day is because of the deal made by its makers and Frank Packer back in the day. Packer agreed to fund the series on the proviso that he be able to screen the show in perpetuity and for that reason, and probably that reason alone, new generations have discovered this Aussie classic. The deal famously could not forsee residuals and DVDs for is cast, with actor Tony Bonner losing a courtcase for royalties. In 2016 Featherdale Wildlife Park in Doonside, NSW, celebrated 50 years since the pilot was filmed. Skippy’s Ranger Headquarters, which featured in the series, was based at Waratah Park in Duffy’s Forest. Skippy is still regarded as our most famous TV animal character with readers recently voting the Hammond clan one of the most loved families in Children’s TV. Summary: A children’s television adventure series about a young boy and his pet kangaroo, produced by Fauna Productions and Norfolk International Productions. There were 91 episodes, in three series, beginning in February 1968. The show was shot in colour on 16 mm film, but at the time of first screening Australian television was still in black and white. First Series: Episodes 101 – 139. Second Series: Episodes 140 – 178. Third Series: Episodes 179 – 191. I wonder if the big issue with Tony Bonner is still raging. He has/had fought for years to get paid royalties. I can smell a reboot. If this was the states they would have already brought it back… with CGI talking! And one of the first Oz TV shows to get into merchandising. My son [aged 10] uses my Skippy plate every day [it still looks good after i used it every day too]. I blew up (litterally, it exploded) my last 60’s era plastic Skippy plate in the microwave several years ago when I went to warm up some frozen meat for the cat. Skippy wasn’t microwave safe. Who’d a thought? Looks like residuals wasn’t the only thing the producers didn’t plan for. Melamine plates and microwaves don’t mix! I still have a Skippy cup somewhere. The plate vanished years ago.